Choose from Cherry, Maple, Sapele Mahogany, or Walnut for these rich, beautiful cutting boards. Then, customize your purchase with one of over 50+ options in our Design Center. Powder coated stainless steel, double walled, and vacuum insulated, to keep your wine, champagne, and sparkling water chilled for hours. Adjustable and holds nearly all bottle sizes. Customize with your own text or monogram to make the perfect gift! Choose from a collection of 30+ designs. 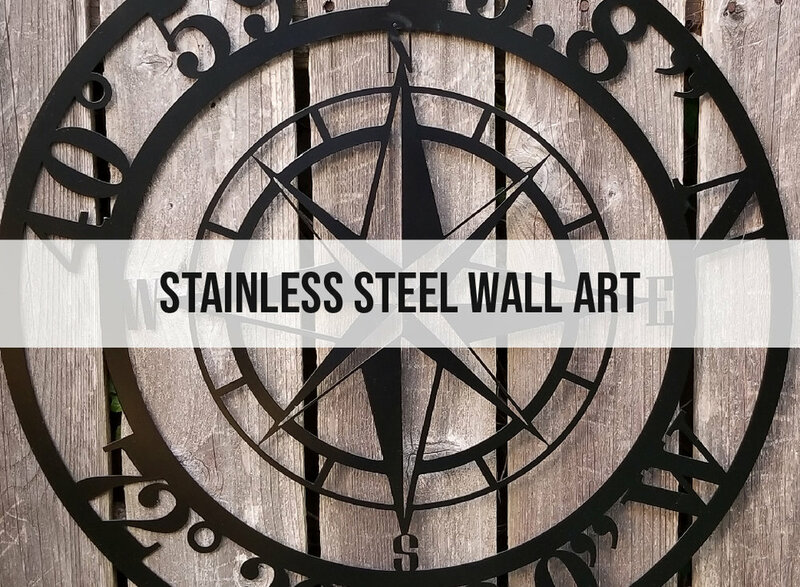 Each piece is laser cut from 20 gauge stainless steel and makes an ideal addition to any home, hangout, or business. AND NEITHER WILL THESE SAVINGS.